Government may table the National Medical Commission Bill, 2016, which seeks to scrap the controversy-ridden Medical Council of India (MCI), in the coming Winter Session of Parliament. 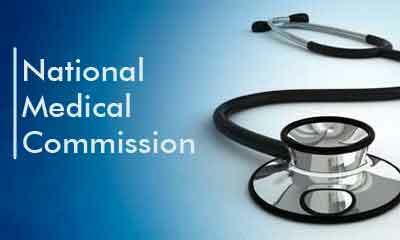 “The National Medical Commission Bill, which seeks to reform medical education system in the country, will be placed before Parliament in the coming Winter Session,” a source privy to the development said. The Bill is an effort to enhance the quality of medical education in the country, which in turn will enhance the quality of healthcare. It seeks to create a flexible and well functioning legislative framework to improve the standard of medical education. India had adopted the Indian Medical Council (IMC) Act, 1956, which has not kept pace with time. Various bottlenecks have crept into the system with serious detrimental effects on medical education and, by implication, delivery of quality health services. This has been highlighted by the Parliamentary Standing Committee on Health in its various reports on the issue as well as draft Bills to improve the standard of medical education. After evaluating various options and studying the efforts made by successive governments to improve the legal framework for medical education, a high-level committee headed by Niti Aayog Vice Chairman Arvind Panagariya has proposed scrapping MCI and replacing it with National Medical Commission (NMC). Other members of the panel included Prime Minister’s additional principal secretary P K Mishra, Niti Aayog CEO Amitabh Kant and the health secretary. The proposed NMC will become the main regulatory body and will take over all roles and responsibilities of MCI. The new body will have eminent doctors and experts from related fields to steer medical education so as to ensure that quality of education is at par with global standards. It will have four boards — under graduate medical board, post graduate medical board, accreditation and assessment board and a board for registration of medical colleges as well monitoring of ethics in the profession. The source said Niti Aayog is also trying to address the issue of skewed representation of states in the new body proposed in the Bill.